It has been a bit a journey for singer-songwriter Zan Strumfeld to get to her latest release. The new effort, Book of Belonging, was written after the dissolving of a long term relationship this past winter. The Troy-based artist had been on a hiatus from music since releasing two EPs in 2013. Working as a full-time writer, Strumfeld was thrust back into the world of songwriting this year as the story of her heartbreak unexpectedly presented itself in album form. Book of Belonging was recorded in a living room with the assistance of a small, tight band; only a light peppering of upright bass, acoustic guitars and percussion round out these arrangements. Having been recorded on an 8-track, there is an added warmth and intimacy to the album; a warmth that provides respite when paired with the wintery nature of Strumfeld’s words. The mixing is precise and focused, putting every instrument almost dead center. This gives a clear intention where the importance lies: in her voice and the words she’s singing. While you can tell there is exhaustion from pain in these words, there is a dash of wit here, too, acting almost as a defense mechanism against the fragility of it all. With imagery to things like too full coffee cups, a grocery list, and cooking too much, its a straightforward and earnest look at love and loss. Here, Strumfeld sings with the understated vulnerability of Laura Marling and the lighthearted soul of Lake Street Dive’s Rachel Price. When combined with the homespun nature of the music, it adds up to a batch of folk songs steeped in every day relate-ability. 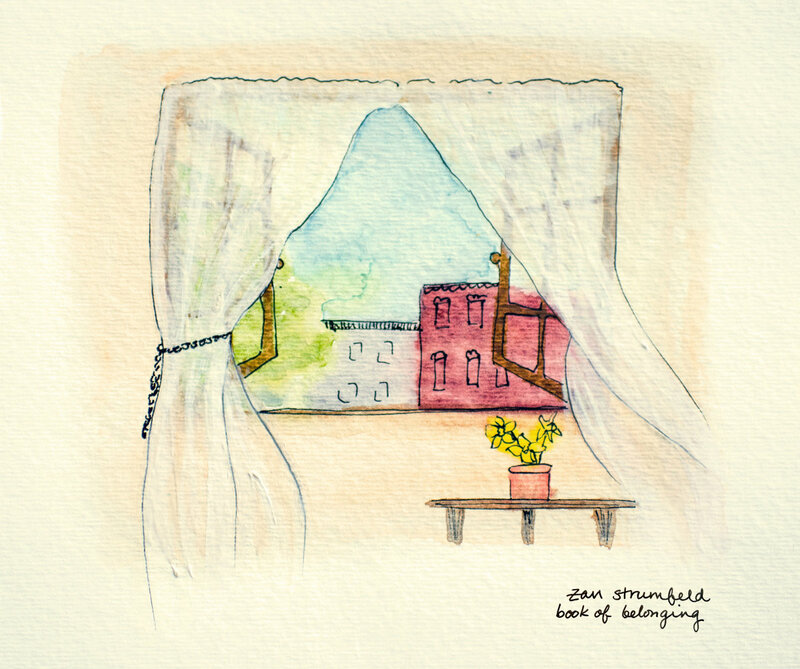 Zan Strumfeld’s latest effort is a solid return to the music realm for the upstate singer-songwriter. She currently performs both solo and with a small band around the Capital Region. Book of Belonging is available now via bandcamp.